Epoca (Time) is a weekly published since 1950. 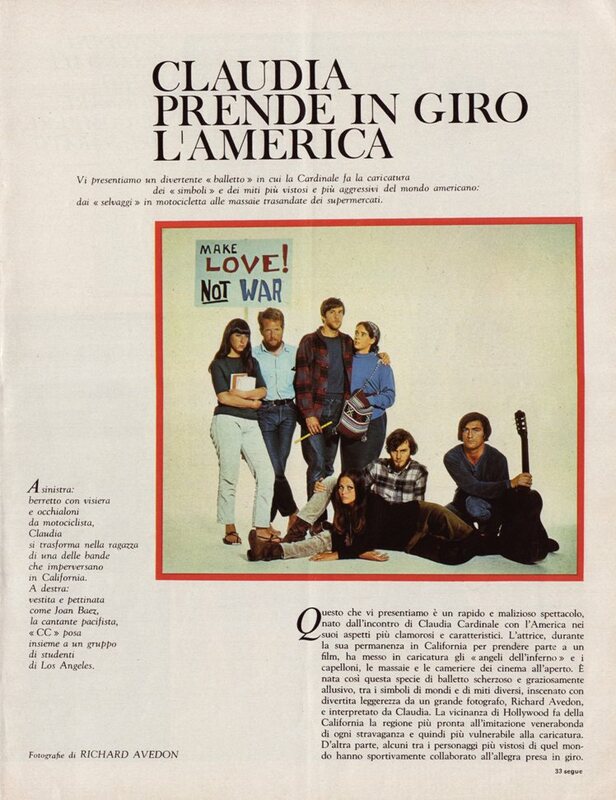 First Italian illustrated weekly in "American style". 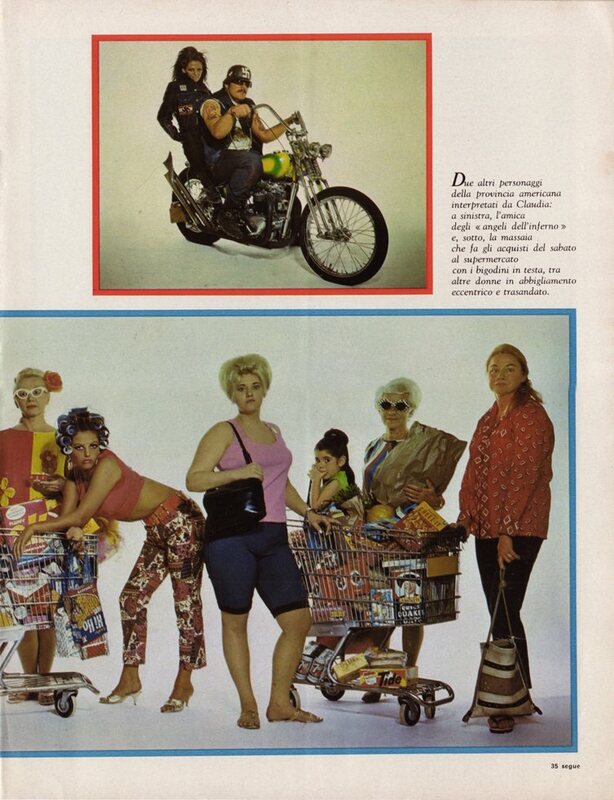 Claudia Cardinale was in California to make a movie and met protesting students, housewives in supermarkets, Hells Angels and members of some anonymous band. 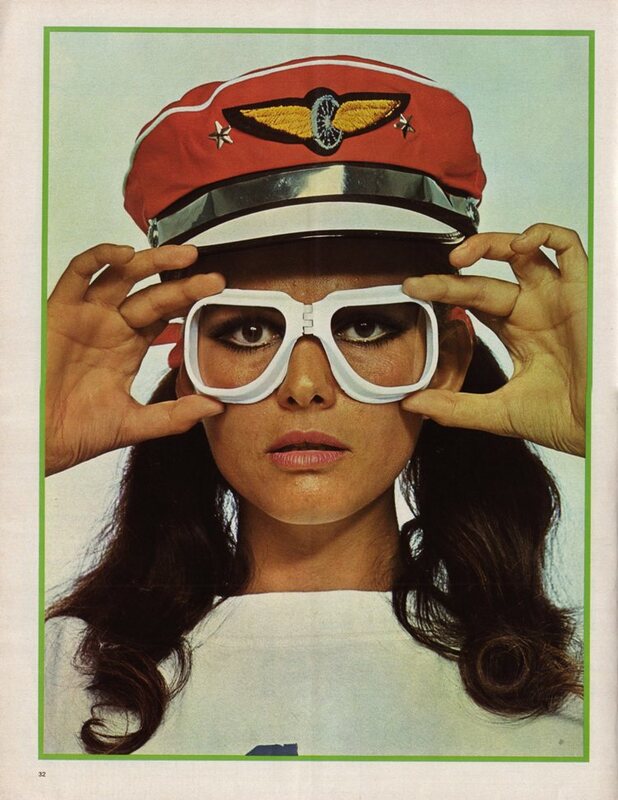 Pictures from the same sessions were published later in October 1967 in US magazine Cavalier – "Claudia Cardinale on the California pop circuit". 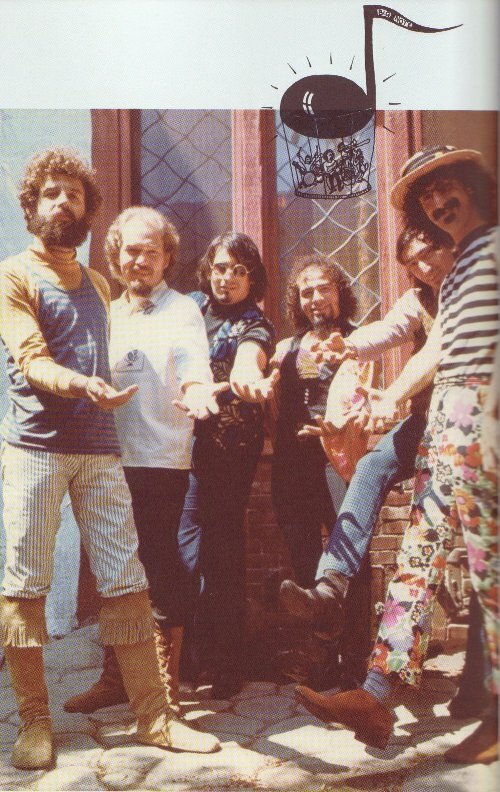 This time Zappa and Mothers were mentioned. "De la noche a la mañana se empezó a valorar la música. 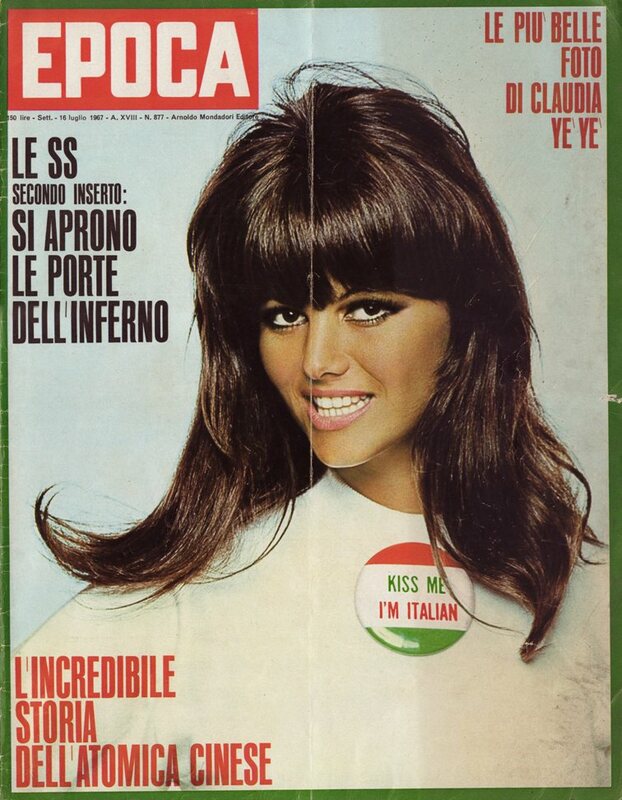 ¡Si hasta el London Times me pidió que posara junto a Claudia Cardinale para una fotografía! -- cuenta Zappa en sus memorias de los primeros años --. Sé que querríais que os explicara alguna aventurilla pos-fotografía, pero no hay que comprometer el buen nombre de una dama italiana." "From overnight the music began to be assessed. 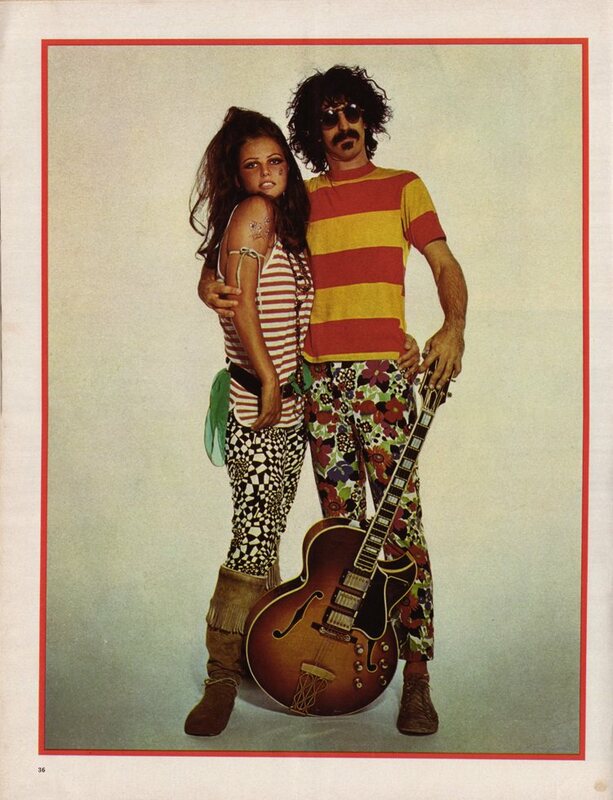 Even the London Times asked me for to pose together with Claudia Cardinale for a photograph, says Zappa remembering his first years. I know you would like I tell you some post-photography affair, but there is nothing to compromise the good name of an Italian Lady." 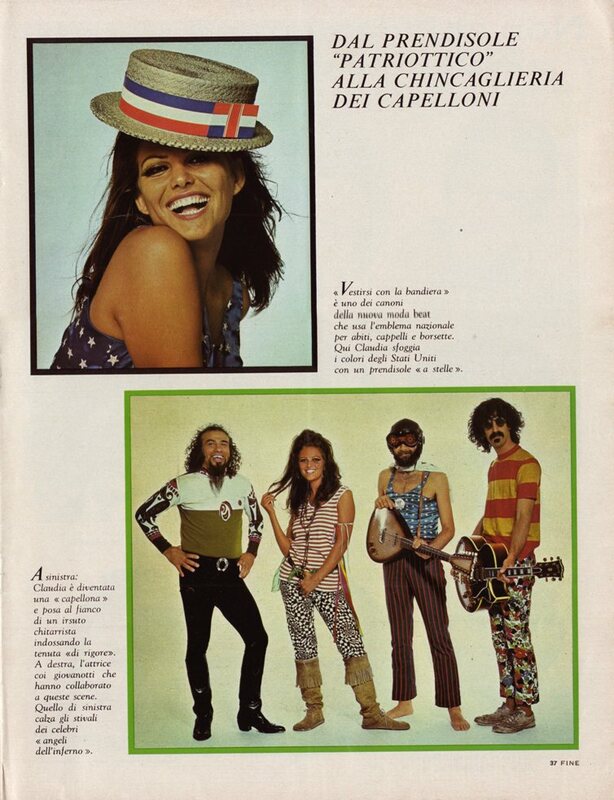 "Le départ d'Elliot Ingber (celui qui refile ses bottes à Claudia Cardinale le temps d'une scance photo) oblige FZ à assumer seul le rôle de guitariste..."
"The departure of Elliot Ingber (who offered his boots to Claudia Cardinale for a photo session) requires FZ to be the only guitarist ..."